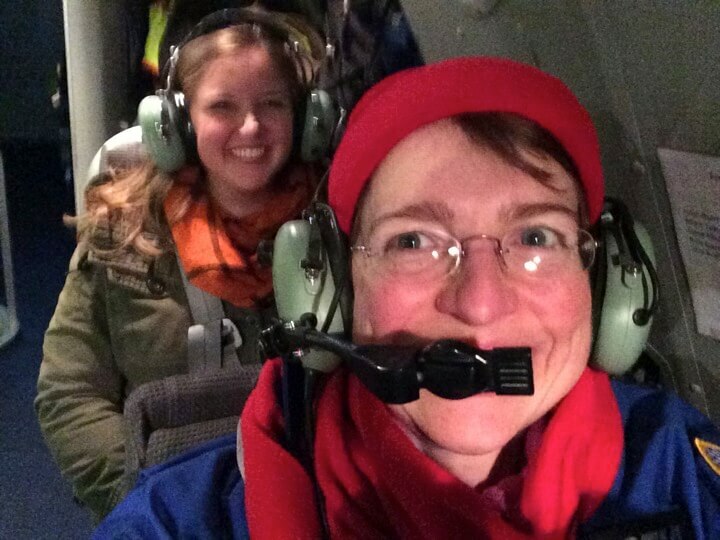 Last night we had two Guest Observers aboard the flying observatory, Dr. Monica Rubio from the University of Santiago Chile, and Dr. James Jackson, from the University of New Castle, north of Sydney, Australia, both first time fliers. 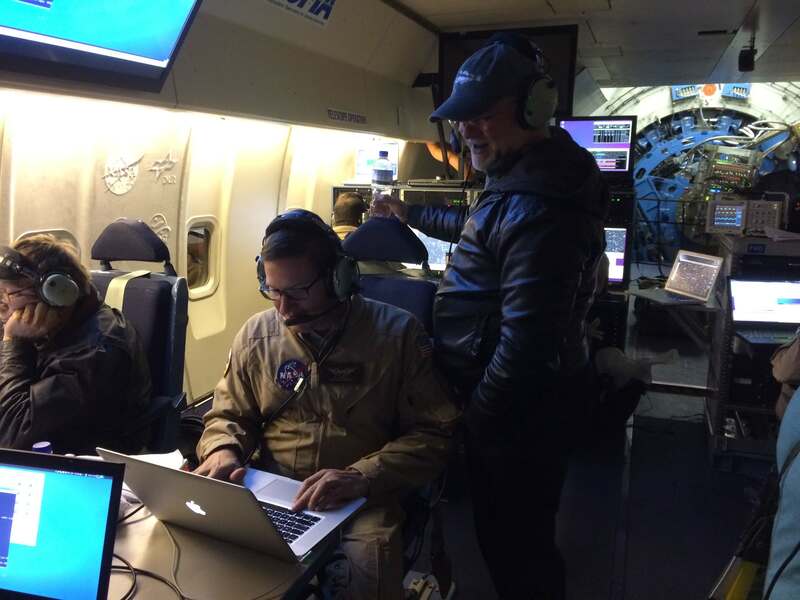 It was fascinating sitting down with both of them during the course of the flight to learn more about them and also what they think of SOFIA. 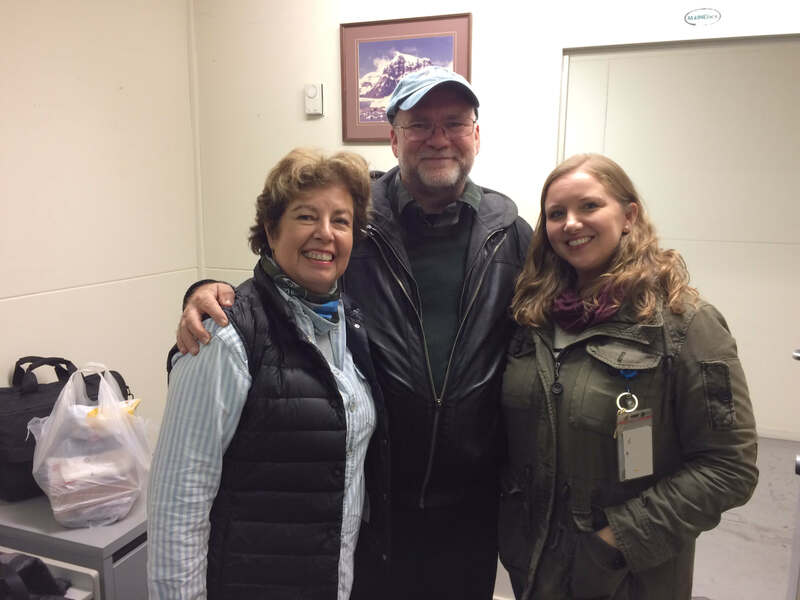 Guest Observers Monica Rubio, James Jackson and Stefanie Milam all excited about doing their science with SOFIA and first time flyers. 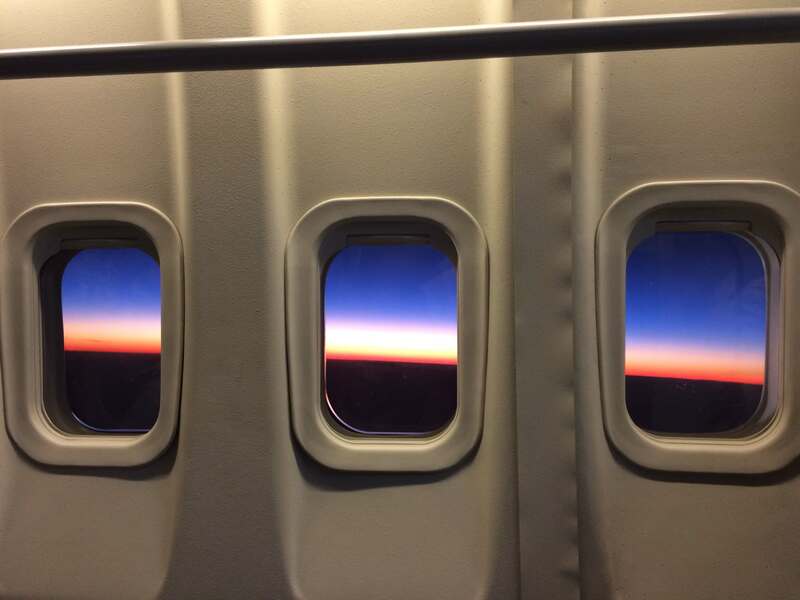 Stefanie would fly the next day. 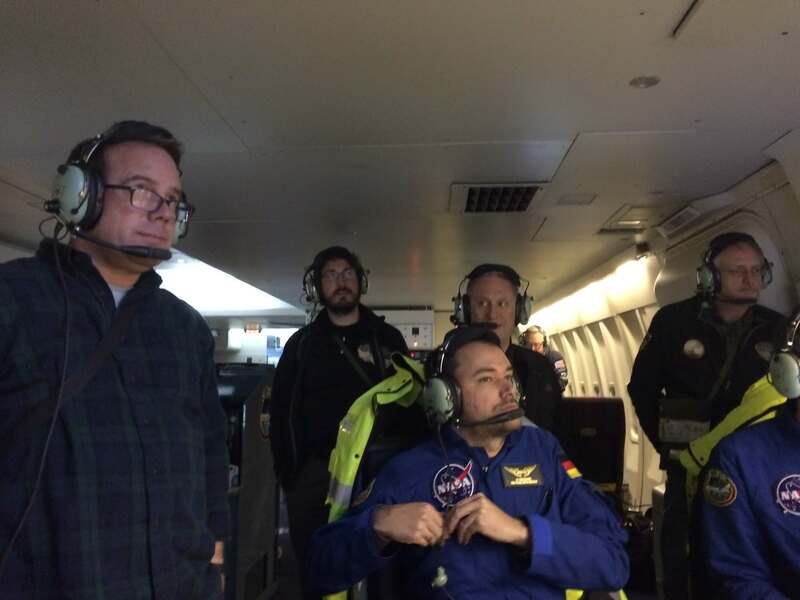 James was a veteran Kuiper Airborne Observatory (KAO), the precursor airborne observatory to SOFIA, observer and his first remarks to SOFIA is – “It’s big. The instruments are 10x larger. And more people. Plus there is room to walk about.” And when he witnessed the “mapping” feature of the GREAT instrument on the SOFIA telescope, he remarked “phenomenal.” It took a bit over a year to design (and equally important, fully debug), but this piece of software aptly called “The Translator” really enables efficient hand-shaking between the science instrument and the telescope, so much so that you can truly embrace this airborne observatory does use every precious minute in the sky to its fullest potential. Now his object of interest was the ‘Nessie Nebula.’ It is a large filamentary gas cloud in the spiral arm of our Milky Way. It’s a fascinating place as it is home to some wacky star forming regions. It got it’s name from the fact that is looks quite serpentine across the sky. 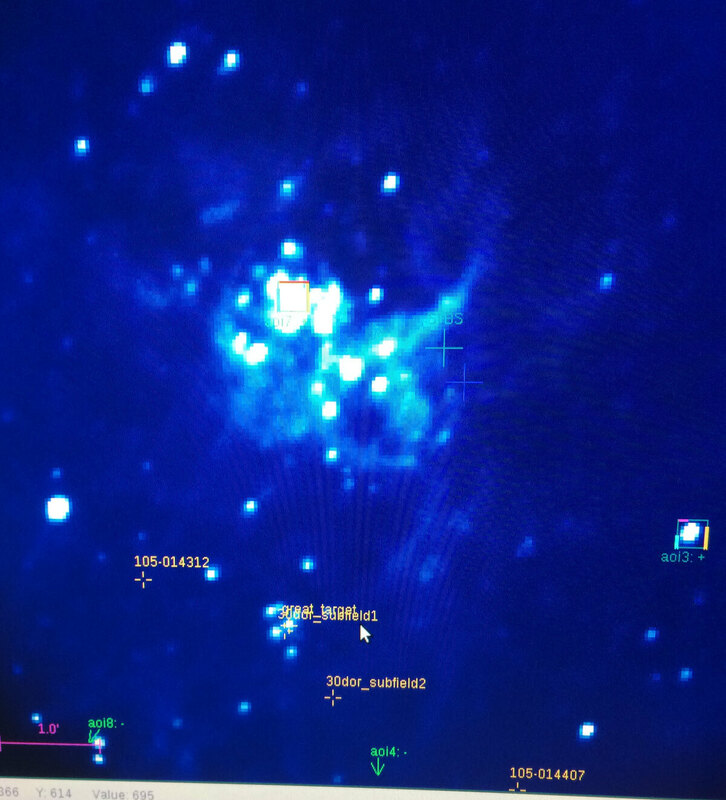 He’s looking for gas infalling on the cores, which supposedly are forming massive stars. 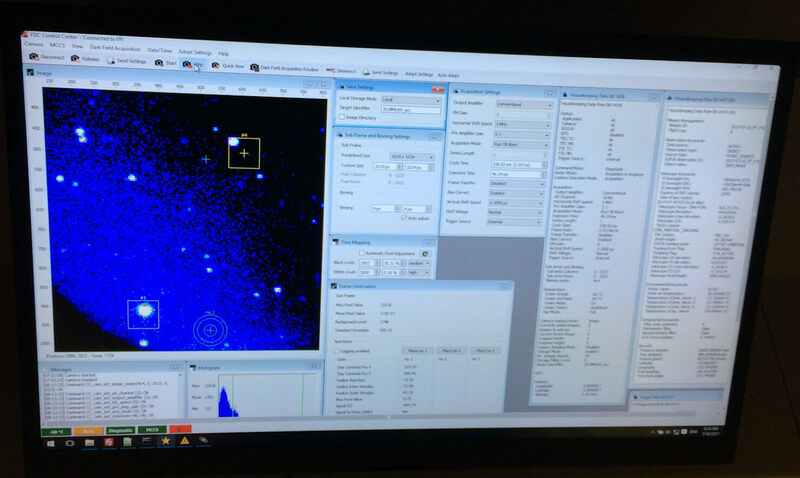 With this information he hopes to be put together a clearer picture how stars form from collapsing clouds. 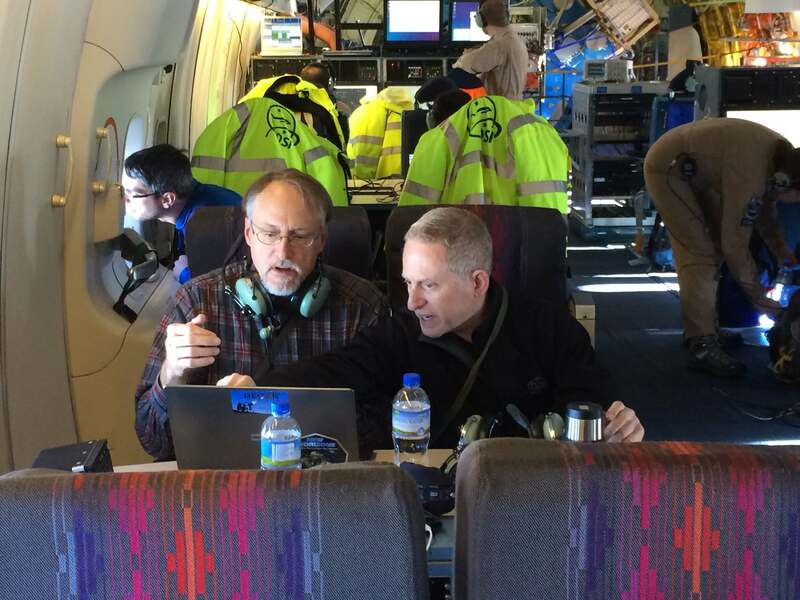 James Jackson (standing) talking strategy with Ed Chambers (seated), instrument scientist. Monica’s favourite place in the sky is the Small Magellanic Cloud, or SMC, a neighbouring galaxy to ours, a meer 200,000 light years away. The SMC is very different from our own galaxy, in terms of its chemical makeup, with a makeup more similar to high-redshift galaxies at the edge of the known universe. SOFIA is in a prime location from the southern hemisphere latitudes to see this object high in the sky. Over the course of a few nights, she was targeting seven different star formation regions in the SMC. 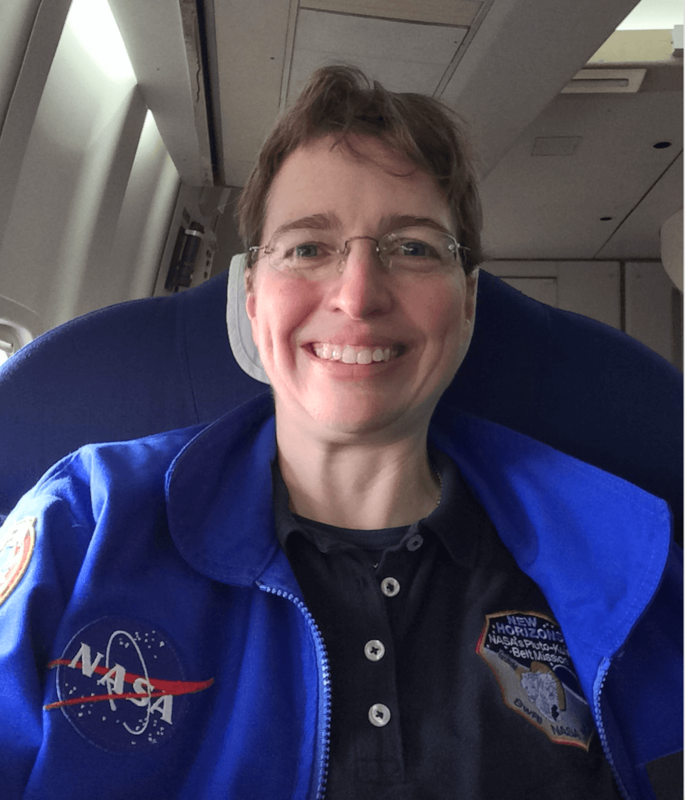 She’s studying a transition of ionized carbon with the hopes to measure the reservoir of star forming gas in the SMC and investigate how we can use local knowledge about the SMC to better explain the chemistry of the high-redshift universe. Monica uses a lot of ground-base sub-millimeter telescopes for her research, and SOFIA gives her the ‘infrared’ chemistry she needs. 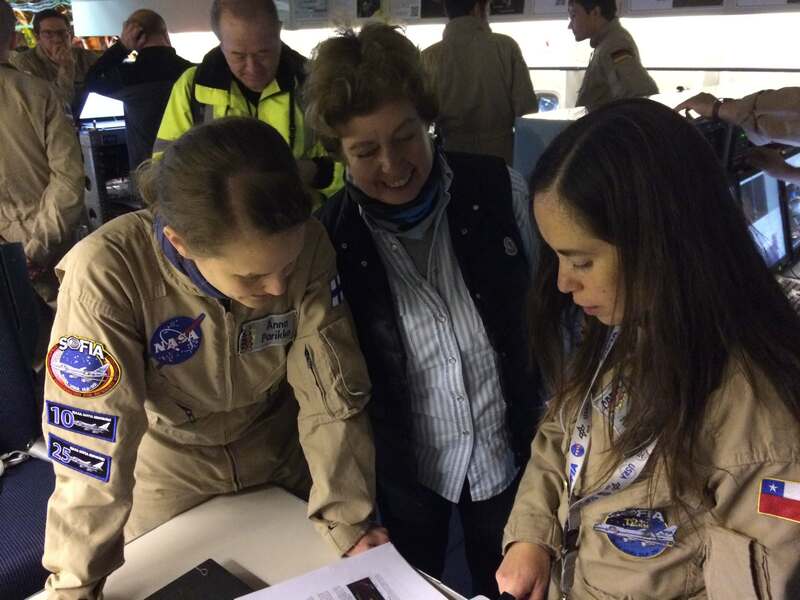 Monica Rubio discussing her science with GREAT instrument team members Anna Parikka and Denise Riquelme Vasquez. 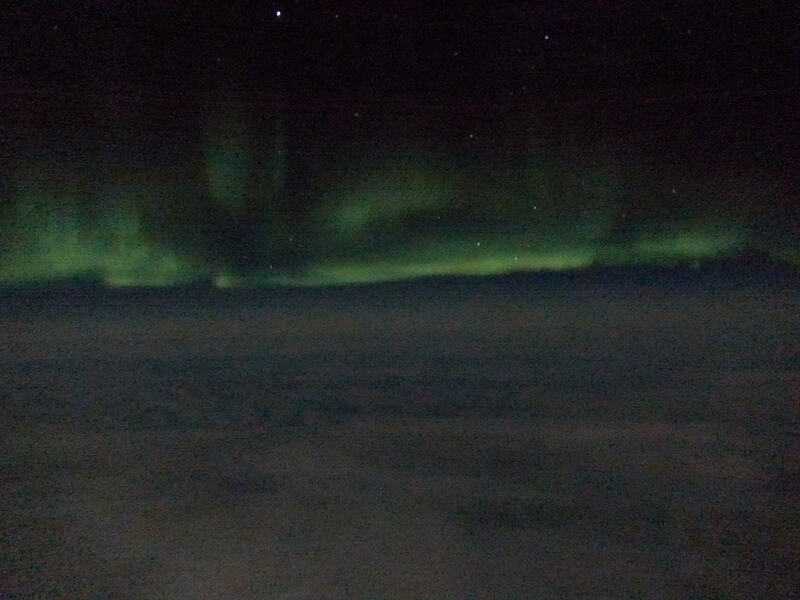 Our route this flight took us down to 64 deg 55 min 39 sec South latitude which provided a nice glimpse of the aurora Australis, a chemistry of a different kind, that of our planet’s atmosphere interacting with the solar wind. Southern Lights or Tagu-Nui-A-Rangi, the great burning in the sky. 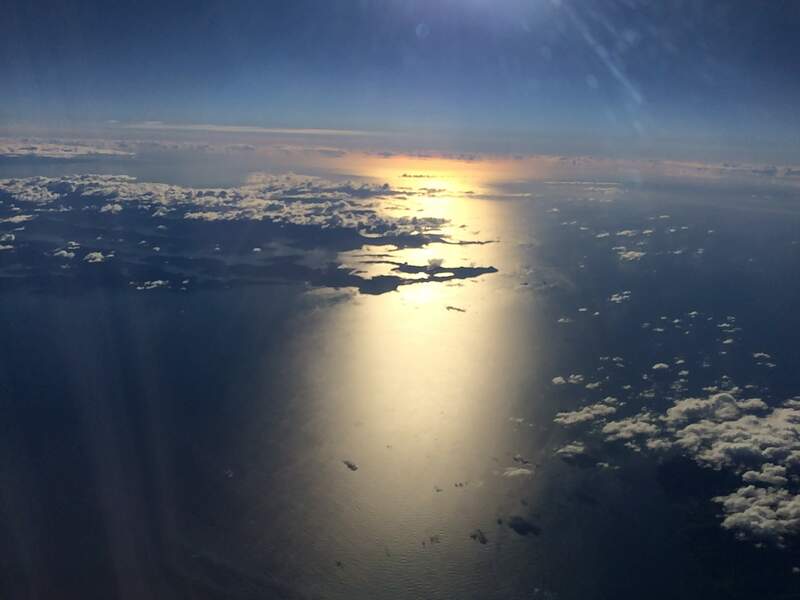 Panaroma of July 3rd flight. 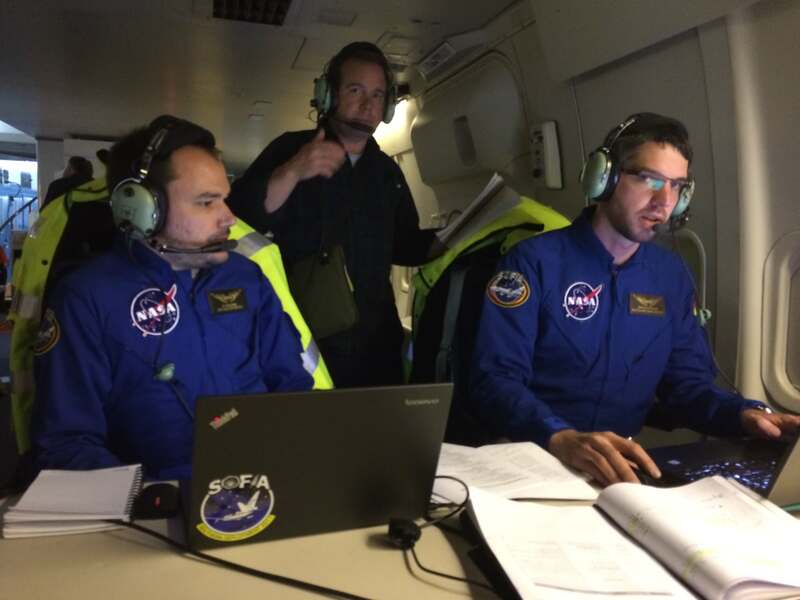 Last night (June 28th) aboard SOFIA, we observed star formation regions in the Small Magellanic Cloud, did a survey of neutral gas within the Galactic Center, plus looked for oxygen in low mass protostars and in the envelopes of interstellar clouds. The method we use is spectroscopy, and in more particular, high-resolution spectroscopy to isolate the wavelength (or frequency) of a particular atomic or molecular transition. 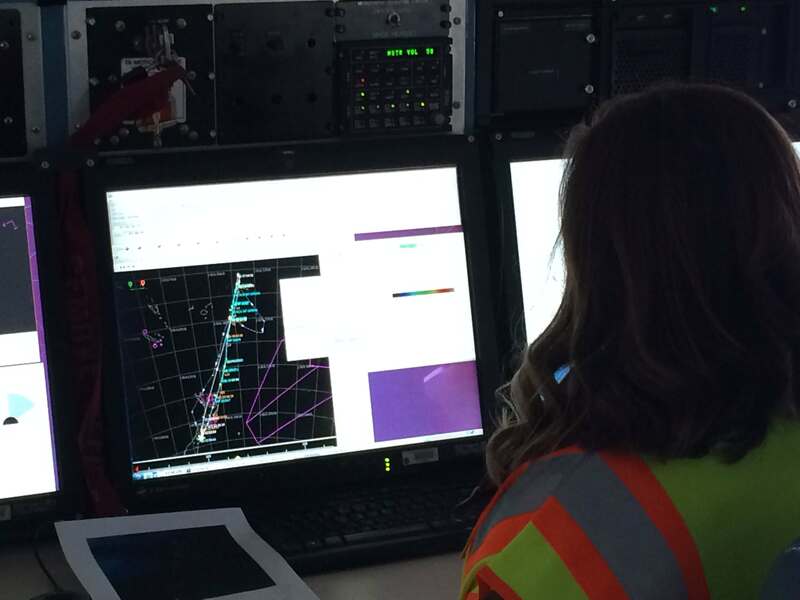 When observing on the flying observatory, the time spent on each target is optimized in advance to take into account the position of the object in the sky, the direction of the airplane, and the motion of the sky throughout the observation. When you add in the constraint the airplane takes off from Christchurch and has to return to Christchurch combined with the fact that the telescope only looks out the “left” (port) side of the 747SP, it makes for unique flight plans each night. 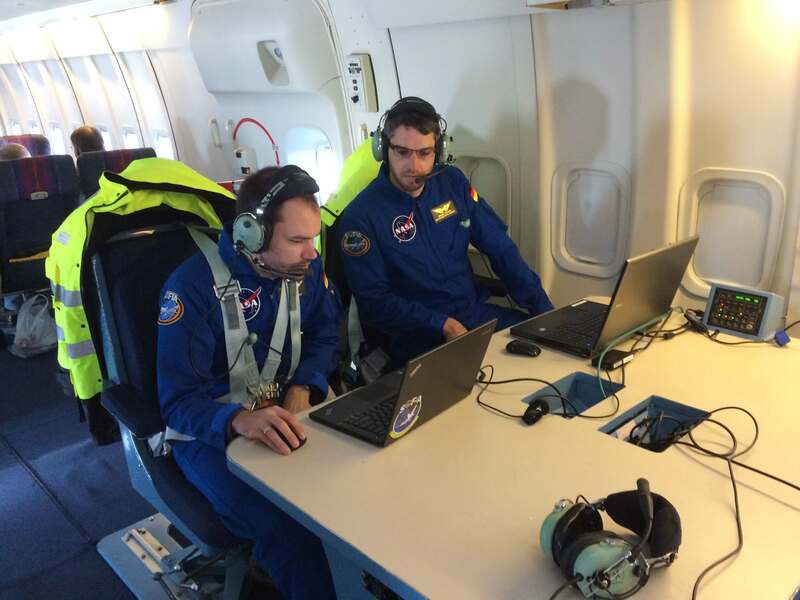 When looking what to do after the June 27th flight had been resheduled, there was a trade to either fly the June 28th as is, or modify the July 27th flight plan for the 28th or a hybrid. 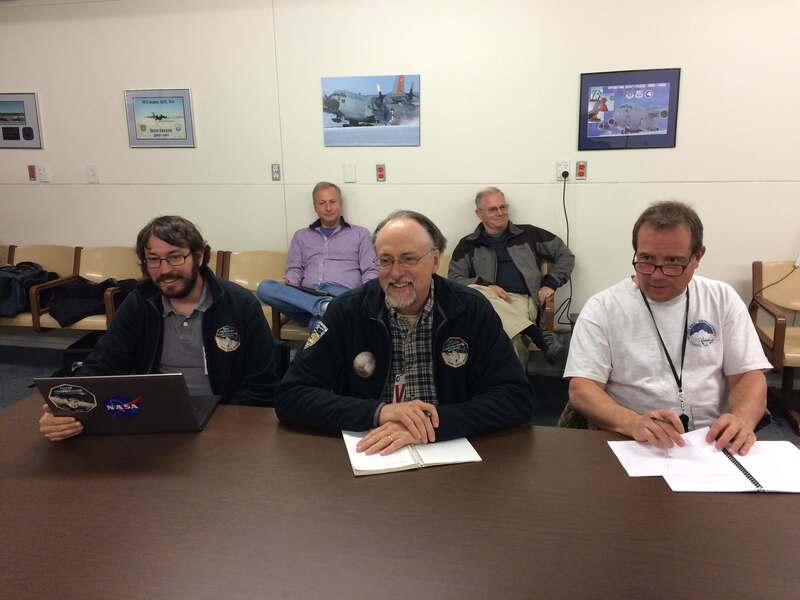 It was decided that for the best science, we would re-fly the plan from June 27th and adjust it by 4 minutes (to account for the Earth’s motion around the Sun since 24 hrs earlier). 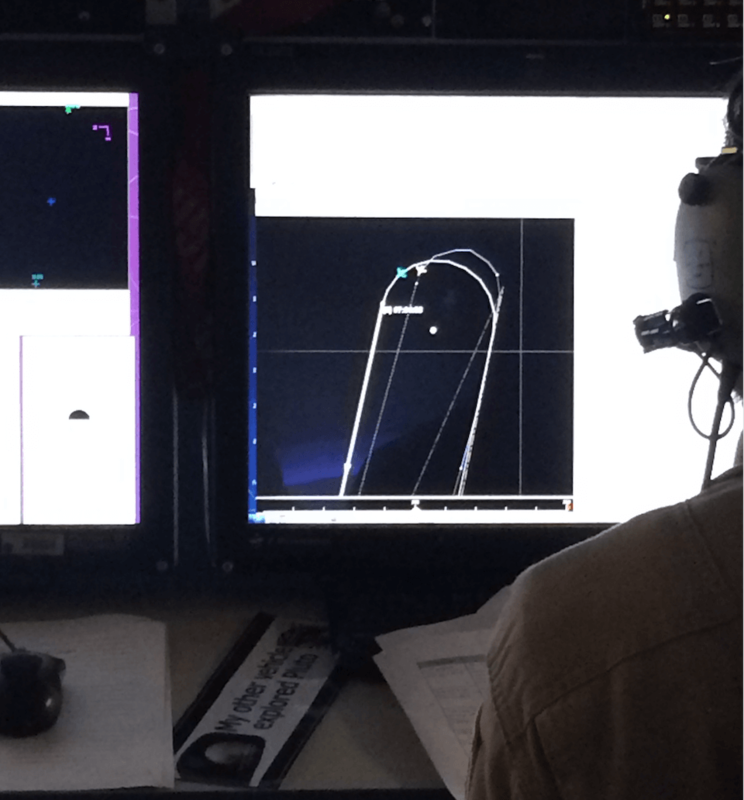 Often targets are observed on multiple flight dates and many of the June 27th targets would be observed the following week. Whereas, a big mapping program would suffer from a “hole in coverage” if we did not recover that series of observations. 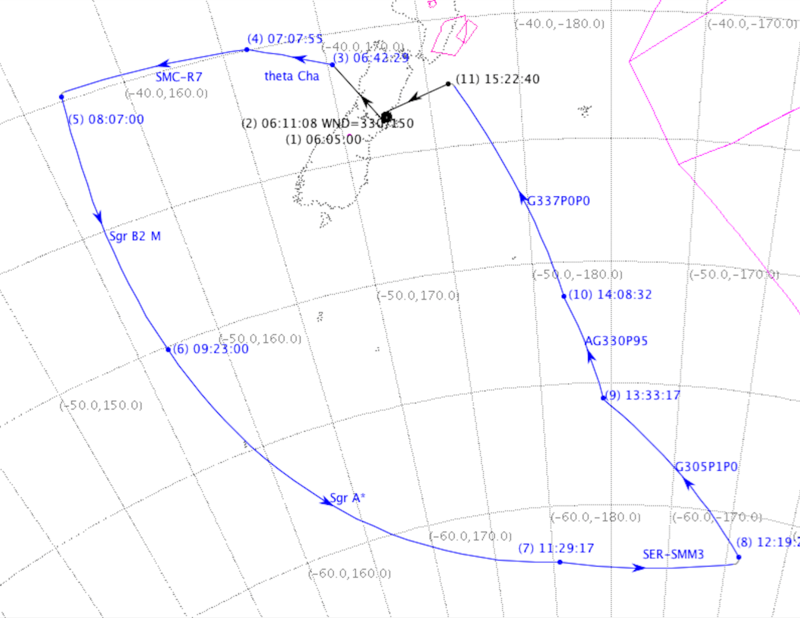 Flight Plan for the June28th SOFIA flight. 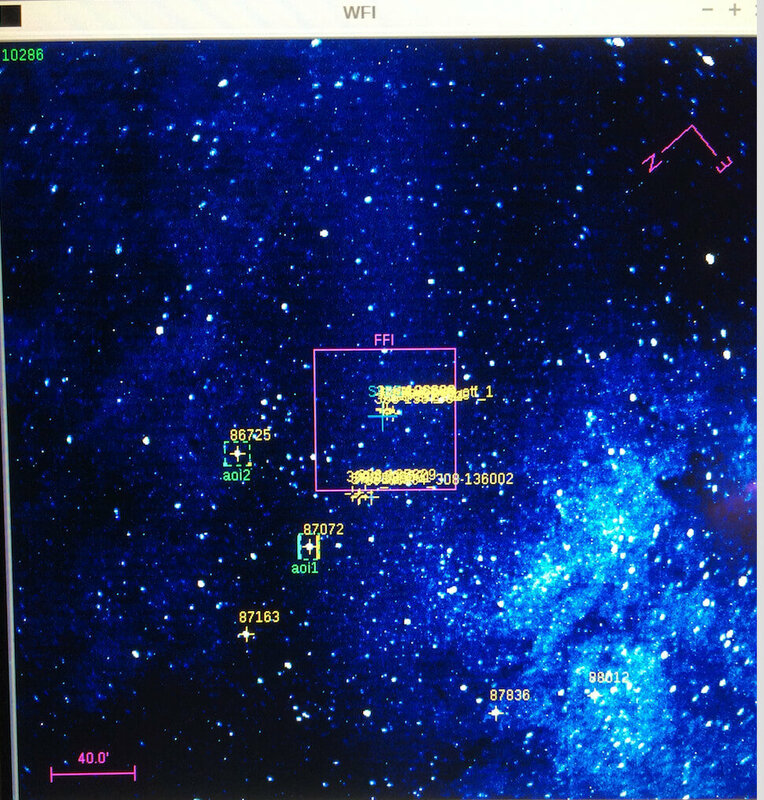 During the night, we found ourselves staring a long time into Sgr A*, pronounced ‘Sag A-Star’, which is bright radio source at the center of our Galaxy, which when viewed from Earth is in the constellation Sagittarius. Evidence has been mounting that Sgr A* is a supermassive blackhole, as telescopes have measured the speeds of stars orbiting that point in space at much higher speeds than any other star in the galaxy. How can our SOFIA spectroscopic observations with the GREAT instrument shed some light on the mysteries of our Galaxy’s center? 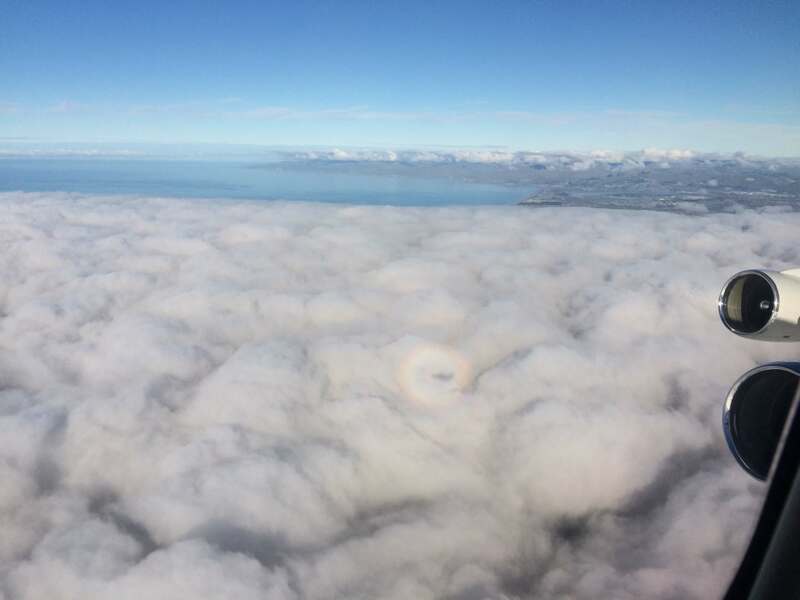 Well, we are probing a specific transition of atomic oxygen, whose emission is in the far-infrared and within the wavelength range of the GREAT spectrometer. Scientists are trying to measure the amount of neutral (not ionized) gas that is infalling into the black hole. With the high spectral resolution provided by the GREAT spectrometer scientists can actually measure the Doppler shift in the gas, and determine how fast the gas is moving and its direction of motion. This new 4th dimension (velocity) combined with assessing the amount of material (mass) will help put constraints on how the black hole at the center of our galaxy is being fed. Image from the guide camera, centered on Sgr A* with a 6×6 degree field of view. 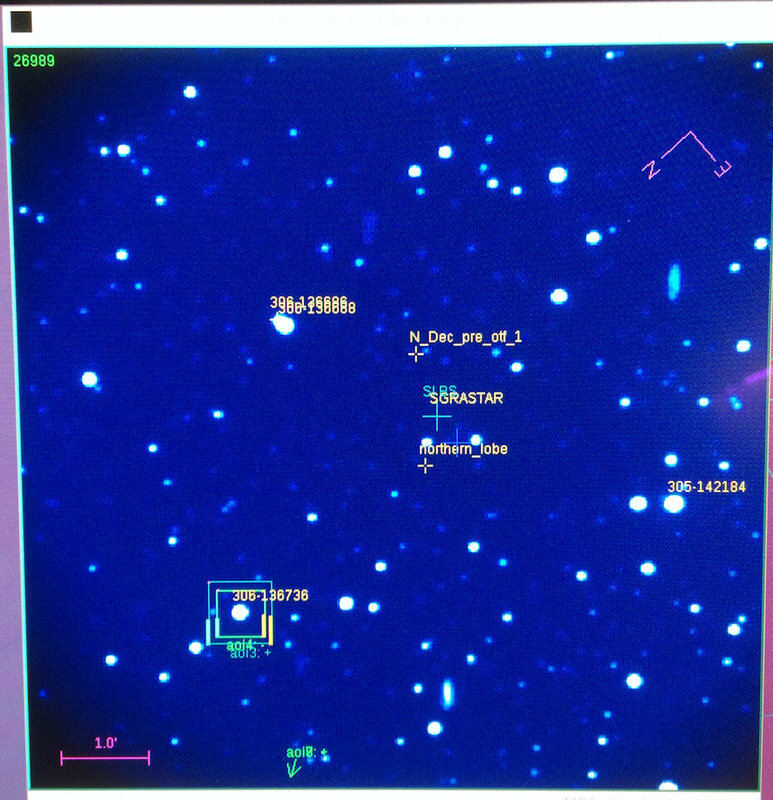 We can see the bright Milk Way nebulosity diagonal across this 6 x 6 degree image in the visible wide-field guide camera. (As a sense of the area in this image: The Full Moon’s diameter when viewed from Earth is ½ degree). When we zoom into the middle 8×8 arcmin (1 arcmin is 1/60th of a degree) our narrow cone of light reveals a “boring” star field. However, this is one of the most exciting places in our galaxy when observed in the infrared. 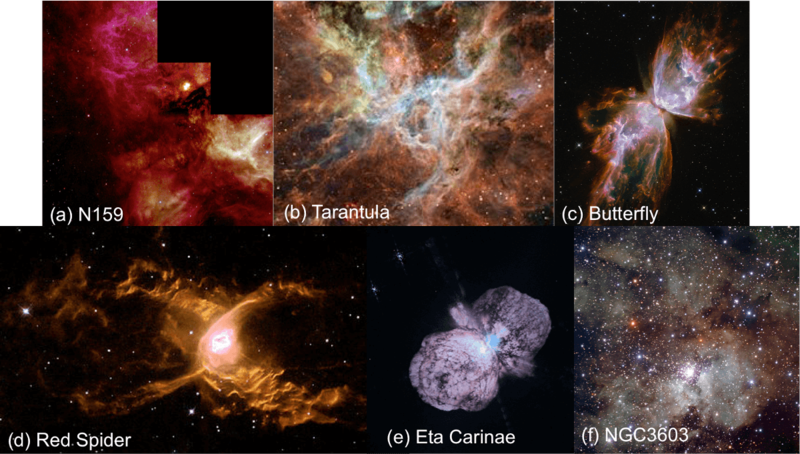 To get a sense of how multi-wavelength views of our universe tells us different things, check out the Milky Way’s Galactic Center in the visible, infrared and x-rays. A never-before-seen view of the turbulent heart of our Milky Way galaxy, courtesy of Hubble, Spitzer and Chandra. 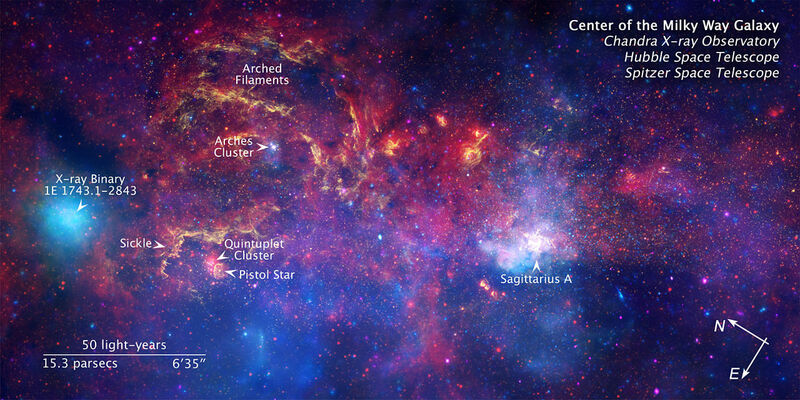 Sgr A* or Sagittarius A is indicated to the middle-right.